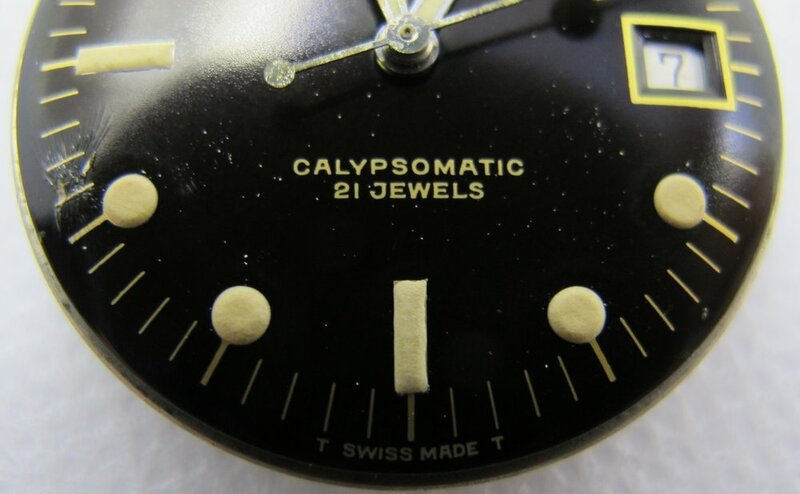 By this time it is likely the mid 60’s with the introduction of the 7840, the 4th generation Calypsomatic. Some will argue that this reference is the most unique as the design really took a turn to be more independent. The dial is the exact same dial as the small logo, gilt dial used in the late “transitional” 7085 we discussed in the 7085 tab. The hands are also the same lollipop hour hand and not the Mercedes hands we find in late model Calypsomatics. Again, if you see Mercedes style hands on this reference then they are replacements. The most noticeable difference is the new case that is introduced on this reference. This really transformed the look and feel of the Calypsomatic and made it feel more independent than the shared case of the previous models. This mid case has a slightly different shape being flatter, slightly lower and shorter in length than its predecessor (7085). The actual diameter is slightly larger despite the shorter dimensions. Also, for whatever reason the case does not have drilled lug-holes. 7085 (left) 7840 (right) *Notice the lower overall height and flatter lug shape. The bezel is completely different and the insert is different material. We have a metal base with grooves on the bottom with a much thinner insert with a circular pip that has a clear coating on top of the entire insert. 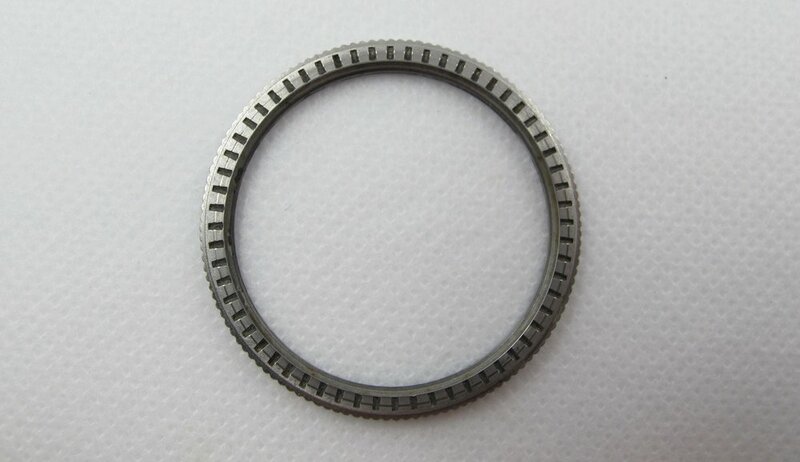 There is no metal ring on this insert as it is no longer needed. These generally did not age well and were not great against extreme heat. We now have a bezel that sits lower and clicks as it rotates in both directions. *Notice the small ball near the top left lug. This is how the bezel clicks with the groves on the bottom of the bezel. The crystal has a cyclops on the outside but it does not sit as high and the diameter of the crystal is larger than the 5913/7085. This reference should also have an all black date wheel over a white background. A red/blue date wheel is incorrect for this model. We also have for the first time a signed logo crown. Still retains the big ~7.4mm bullet style, screw-down crown but now features a beautiful Laurel leaf logo on the end. The case-back should have "7840" engraved on the outside. Nothing between the lugs on this reference. 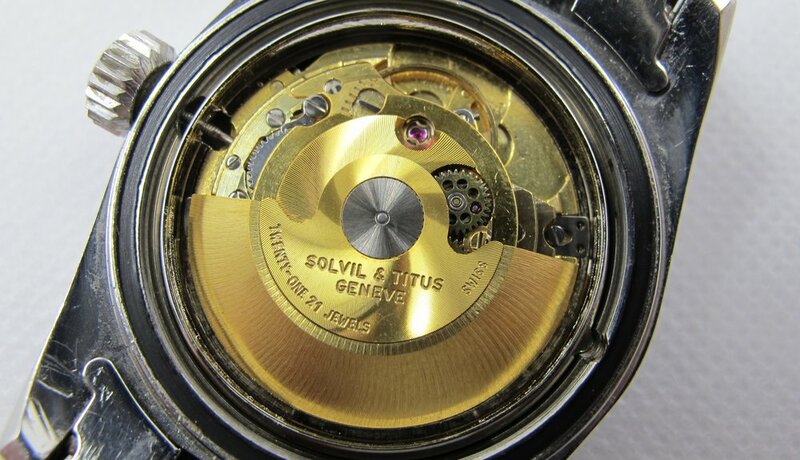 For this reference we still have the same ETA 2472, 21 Jewel movement with signed rotor. The bracelet is a folded center link more oyster style than bead style bracelet. Follow Tituscalypsomatic on Instragram for updates and pics. Click icon below.